Great news! The search for the perfect Charleston real estate location to find your new South Carolina home or coastal vacation retreat is here at Stonoview on Johns Island. If you haven’t seen it yet, then you owe it to yourself and your family to visit and take a tour of this new home community today. Come see all the beauty that the Johns Island lifestyle offers. You should start living your Lowcountry dreams on the Stono River, today. Johns Island has a rich Carolina coastal history that makes living here even more charming. Early records indicate that the area was inhabited by nomadic Cusabo tribes such as the Kiawah. They eventually settled on the island and began farming along the coast. Of course other tribal groups in the area, like the Stono, were also living and farming here as well. The Stono River is an integral part of the Intracoastal waterway and takes its name directly from their presence along the coast. The land known as Johns Island was named after Saint John’s Parish in Barbados by later settlers. Historically, the island has been documented from its early beginnings to Colonial Times, into the American Revolution, through the Civil War, and beyond. The charm and rich history of the area continues to attract visitors and residents. The island is home to many wildlife species including deer, alligators, raccoons, coyotes, bobcats, otters and wild pigs. The rivers and marshes around it offer fish, shellfish, and oysters. The number of bird species is abundant to say the least. You can spot bald eagles, osprey, wild turkeys, owls, hawks, herons, egrets and ducks. 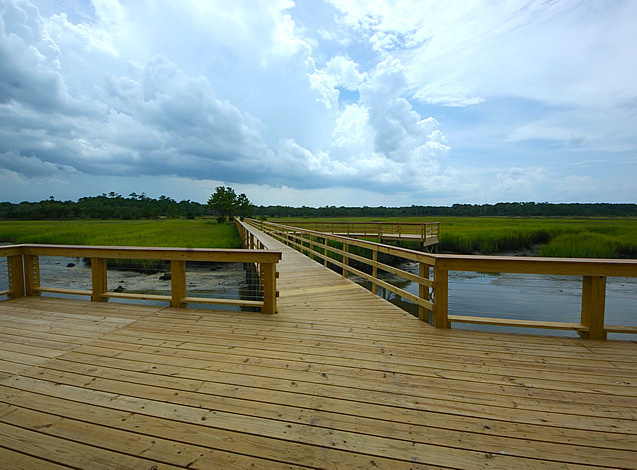 While the coastal area and land itself have a traditional history of farming and agricultural, modern Johns Island still has acres of untouched land only recently made available to residential developers and real estate buyers. That said, there are several local farms currently operating on Johns Island that make the year round Johns Island Farmer’s Market one of the best and most well-known in Charleston and Lowcountry. 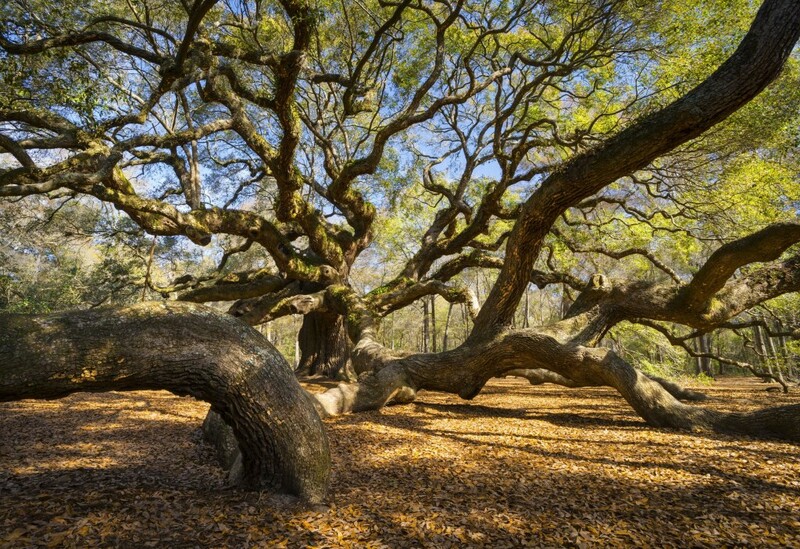 Now, don’t forget to visit Angel Oak park and see the Angel Oak tree while you’re on the island as well. You will love the majestic beauty of nature found here and you might even see a ghost hanging around the tree. Unobstructed views of the Stono River provide homeowners with a true sense of Lowcountry coastal living at Stonoview, our aptly named Johns Island community. This master planned lifestyle community of premier home sites provides a natural setting for all homebuyers to live amongst the moss draped oak trees, and still be just a few minutes drive away from the City of Charleston. Amenities include a new deep-water community dock with sundeck, floating boat slips, onsite boat and kayak storage. A waterfront park & pavilion, with community pool and tennis courts. Plenty of walking/biking trails and golf cart friendly roads, plus several pocket parks and picnic areas. The combination of a relaxing Johns Island lifestyle and our new Lowcountry community on the Stono River delivers a wonderful coastal living experience. Stonoview is conveniently close to Charleston, yet just far enough away to provide that relaxing, Lowcountry lifestyle you and your family will love. Come see why Stonoview by Brock Built Charleston is the place for you. Contact us now for more details about this new home community and to arrange a tour of what’s currently available.